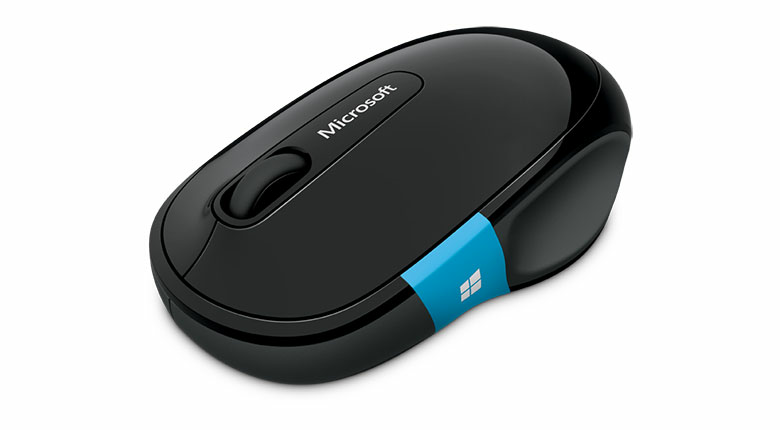 The blue Windows touch tab on Sculpt Comfort Mouse revolutionizes the relationship between hardware and software, providing quick and easy access to your favorite Windows 8 and Windows 10 features. Quickly navigate to the Start screen and access apps faster. Press the center of the sleek blue tab to switch between your current app and the Start screen. Or simply swipe up on the tab to cycle through all of your open apps, or down to reveal all the open apps and select the one you want. The ease and speed of the Windows touch tab means you can get things done with precision and effortless control. Plus, Sculpt Comfort Mouse's intuitive, modern design and high functionality make it the perfect complement to your Windows experience.